When you’re listening to an entire system, whether at a trade show or demo room at a shop, it’s difficult to isolate which component you’re actually hearing. One set of components, however, has a more weighted and substantial impact on the overall sound. These are the power-related components. They unequivocally determine what the limitations are as far as performance and the musical gestalt of a system. After experimenting with a few power components, you’ll find out just how dramatic the differences are when using higher quality power cables, conditioners, regenerators, etc. If you’re one of those skeptics, just try it for yourself. There’s a reason why thousands of people ask for these impressions. If you don’t hear the difference, the cable is probably not the weakest link or your system just isn’t resolving enough. The impetus for clean power is strong and becoming a priority for many audiophiles. I personally consider clean power to be the most important aspect of a musical system and suggest experimenting with various power products before going heavily into your system build. If your power is tainted, your components just won’t be performing at its best. 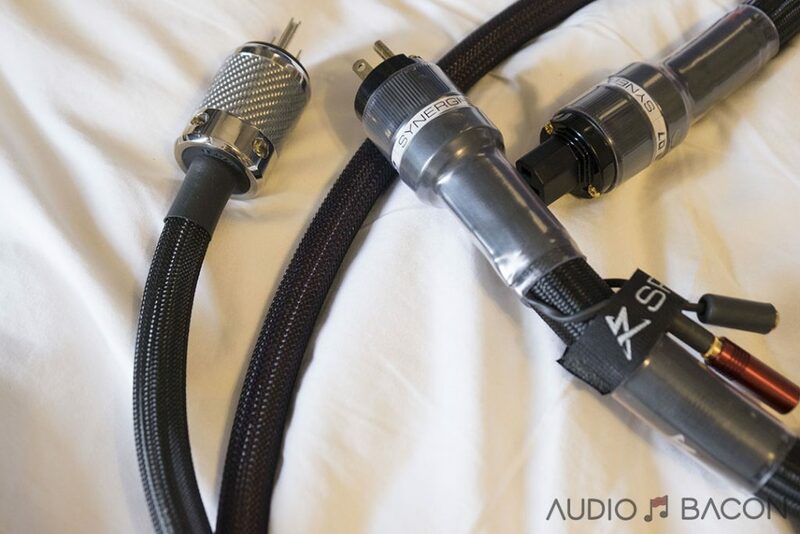 As some of you may be aware, a single power cable could dramatically transform the sound of your entire system. When I’m reviewing various high-quality cables concurrently, it’s easy to realize the “flavor” curated by their designer. There’s quite a mixture of science and art when it comes to designing a cable. It’s likened to wine making. Some are into merlots or a nice Chardonnay…and this could be dependent on mood and food pairings, etc. In addition, everyone will pick out different notes in those wines. After tasting a few varietals over time, you’ll get an idea of what your preferences are. This type of sensory discovery also applies to our visual and auditory systems. Having availed myself to literally hundreds of cables from various vendors, I started to get an idea of what kind of sound the individual vendors were aiming for. Some I’ve enjoyed consistently and some weren’t for me. When you’re listening to an audio component, you’re really listening to a designers’ ear. One designer that has impressed me consistently over the years is Jim Aud, the founder of Purist Audio Design. His background is in nuclear physics and is known for his fluid/gel dielectric implementations. 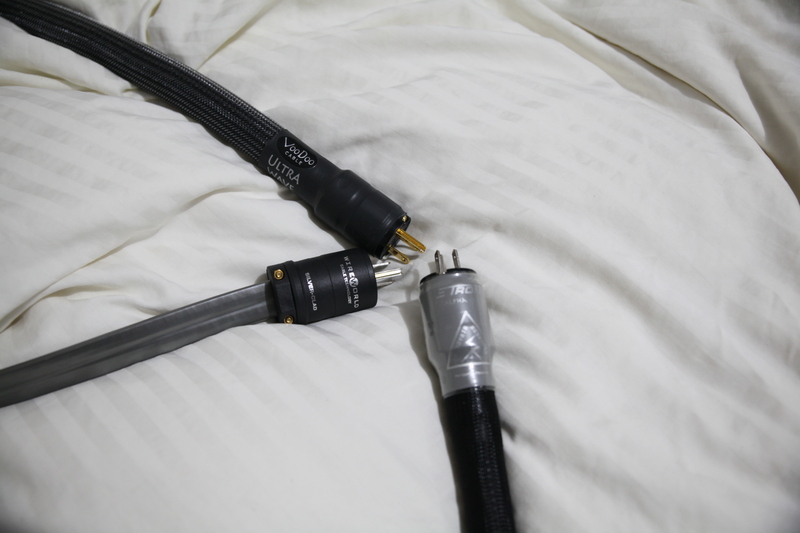 I’ve listened to numerous analog and digital cables from PAD and, unlike most vendors, I can’t say I’ve ever heard anything that sounded bad. The amount of passion that went into these cables is quite apparent, even in the entry-level models. 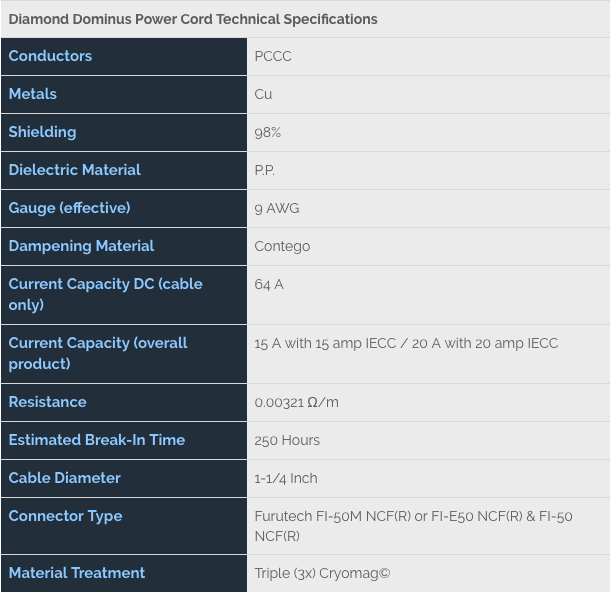 That said, I jumped at the opportunity to review his new Diamond Edition Dominus AC power cord ($3,500 @ 1.0m). 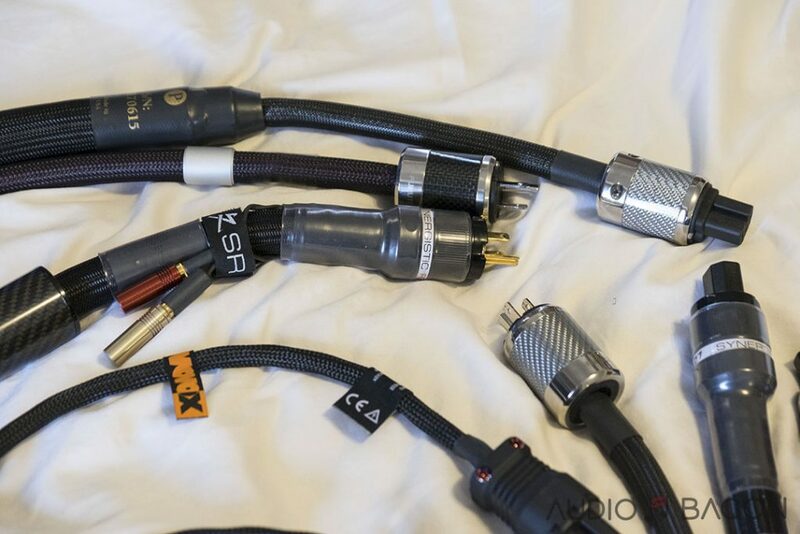 Just as you would not put the lowest quality fuel in your high performance car, you should not trust your music collection to low quality cables. Sure, your high performance car will operate with the lowest quality octane. However, you’re not going to get the most out of your car! In fact is could have undesired effects. The same is true with your high fidelity audio system, you’ll hear the music with any low quality cables. However, you’re not going to hear and feel everything that is there! What’s the difference between a high performance car and an economy subcompact? It’s true that both get you from point A to point B. The difference comes in how the car drives, how it handles, how it accelerates, and how car appears (the fit and finish). The high performance car is carefully crafted with parts that will allow it to drive with precision, hug curves, accelerate with authority, and have the feel of a premium product. Low impedance – Current flow is modulated by the musical signal. Unrestrained and unadulterated current delivery is of utmost importance. Lowering the eddy current resistance ensures electrons of all frequencies are uniform and prevent reflections/intermodulation of connected components. The goal is a uniform current density through the cross section of the cable. This provides uncompressed dynamics, quicker transients, smoother mids, and better extension. Shielding – Provides vibration control and immunity to cable positioning. It’s also used around the various conductor/wire jackets for noise control. For example, braided copper shields are commonly used to reject RFI. Geometry – How the conductors and insulators are arranged significantly affects the amount of noise (EMI) in the cable. The construction will help reduce external and internally induced distortion such as skin effect, phase shifts, harmonic distortion, etc. The cable topology could utilize braids, a fractal design, litz, stranded, solid-core (supposedly absorbs less energy than stranded), hollow, or flat ribbon. The best designs will promote current flow and reject a large amount of EMI/RFI. Dielectric – We want to reduce the amount of electron retention in the dielectric (capacitance) to lessen the distortion. Lower capacitance typically means more magnetism and impedances which make a uniform decay more important in the time domain. Reducing this interaction between conductor and dielectric is important to reduce the conductivity, hysteresis, and magnetic field interactions. The lower the dielectric constant the better. Ideally, it would be air but due to corrosion and oxidation, it’s not practical. PTFE, polypropylene, cotton, kapton, even balsa wood are examples of a few dielectrics found in audiophile power cords. Conductor metal – Metallurgy is important for optimizing conductivity. High purity silver, gold, copper, X-plated anything. Personally, I feel the metals used in a high-end cable have sufficient conductivity and it becomes a matter of preference. Silver is going to have a higher frequency response and sound a bit brighter over copper. 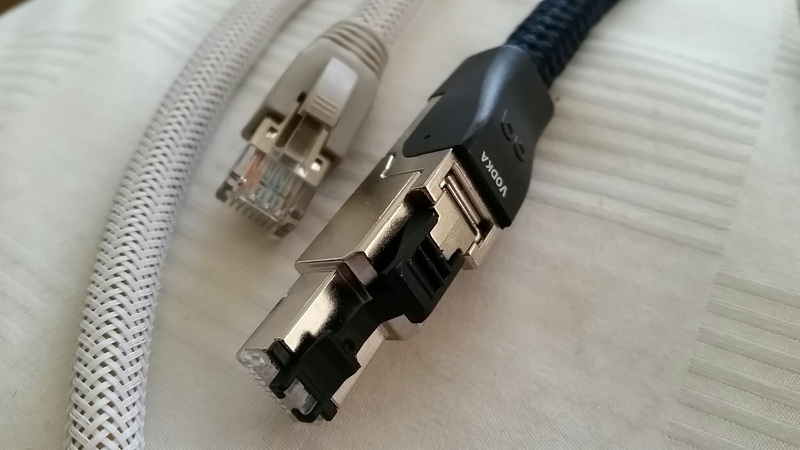 Connectors – Connectors are unassuming but important as well. 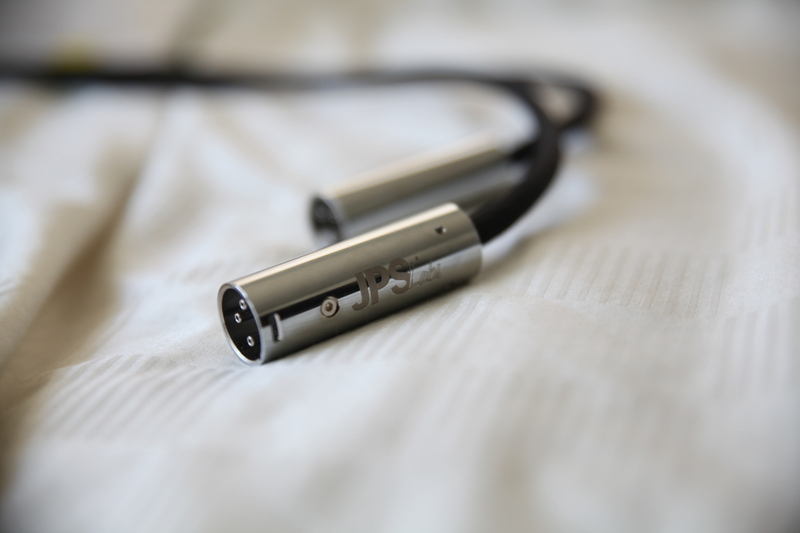 Even a one-piece, solid construction adapters will alter the sound on a variety of cables (including headphone cables). 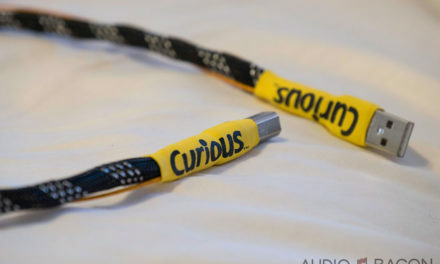 Not only the external end-to-end connectors but the quality of the internal connection between wire and plugs will have an effect on the sound (e.g., using mechanical connections rather than solder). Cryogenic treatment – Higher conductivity and stability due to a measurable reduction in resistance in a cable. This should amount to better resolution, speed, and dynamics. Of course, all that matters is sound but these are fundamental principles of good power cable design. A cable shouldn’t ever be in contact with another cable. Don’t get obsessed with specs, listen for yourself. Higher inductance usually leads to a smoother sound. There isn’t really a correlation to thickness and quality from my experience. It really depends on the construction and materials to provide the proper power transfer and acceptable level of signal loss. Performance has little correlation to price. It’s the supply and demand of various palates that dictate purchase decisions. Cable design will never be an exact science and although a cable might measure well, it might not sound good to you. Trust your ears. The cable itself is extremely well-built and looks the part for the price. The only thing would be a larger resistance to axial twisting. It has a larger bend radius towards the center of the cable. My space was a bit tight and I was able to make it work. So what makes the Diamond Dominus special? As expected, this power cable is silky smooth and a pleasure to listen to. There’s an increased sense of realism and effortlessness across all genres. There’s always something so addictive about all of Purist Audio Design’s cables. Supremely musical, grainless, harmonic, and balanced. Female vocals are so sweet and seductive, drums and bass are very well defined and tight, and great extension in the highs without ever being fatiguing or sibilant. There are zero signs of edginess across the entire spectrum. Most importantly, timbre and tone are on point accompanied with a natural sense of air, dynamics, and body. Piano and violins sound majestic and percussions and brass have convincing air and dynamics. Overall the Dominus AC cord provides a musicality that is undeniably easy and enjoyable to listen to. I could go on listening for hours, forget about the critical evaluation, and just be enjoying the music. I would say it’s a neutral and smooth cable, not warm or bright. In a word, honest. It’s really difficult for me to knock it for anything. Seriously. If I have to nitpick, I would say it doesn’t have as much low-end weight and a tad softer than other cables but you’re not really thinking about that when you’re listening. The music just flows out in coherent and musical fashion. It has that Purist Audio Design signature sound that I’ve enjoyed from their other products. At nearly double the price of the Dominus, it’s not meant to be a fair comparison. However, I feel it comes down to personal preference. I found the HFC to have a larger soundstage and a warmer tone. The HFC is not as detailed as the Dominus. HFC provides more air around the actors. The HFC sounds less confined. Micro-details have a more apparent presence with the HFC. Some of these details are smoothed over on the Dominus but in a coherent way. I could see people favoring one over the other. The HFC has more grittiness (the good kind) while the Dominus has more smoothness. Hard to decide what I like more between the two at times. The HFC has slightly better layering and a quieter background. Voices and instruments fade in from black. Like the HFC, the choice is a matter of taste. The Synergistic Research (reviewed without gold tuning bullet) is more hyper-detailed, energetic, and provides a much wider soundstage. 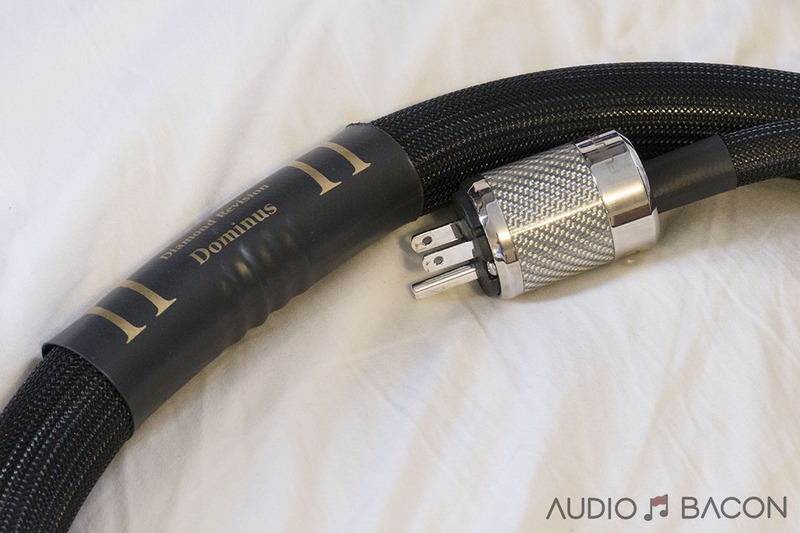 The Dominus is much smoother sounding and provides a more relaxed atmosphere. Both sound great and probably fit different palates. The mids from the Synergistic Research are noticeably thinner than the Dominus. The Dominus has much more meat on the bones. Vocals sound a bit elevated (not really a bad thing) on the SR Level 3 while on the Dominus it’s more grounded and calm. I’ve found the Dominus easier to listen to for longer sessions. The Synergistic Research is very impressive but commands some attention and might be fatiguing in inherently brighter systems. The SR Level 3 is faster, has a quieter background, and provides the highest resolution I’ve heard from a power cable thus far. The Dominus is more liquid and soft. It doesn’t fade in from black but fades in from a natural and realistic circumambient air. Probably akin to a star track athlete and a professional yoga instructor. Both have their own strengths and weaknesses. The Dominus trades some micro-detail definition and tactility for some smoothness. The SR Level 3 exactingly draws the soundscape down to the lowest of details, providing sharper textures. Both have fantastic authority and grip all around the spectrum. 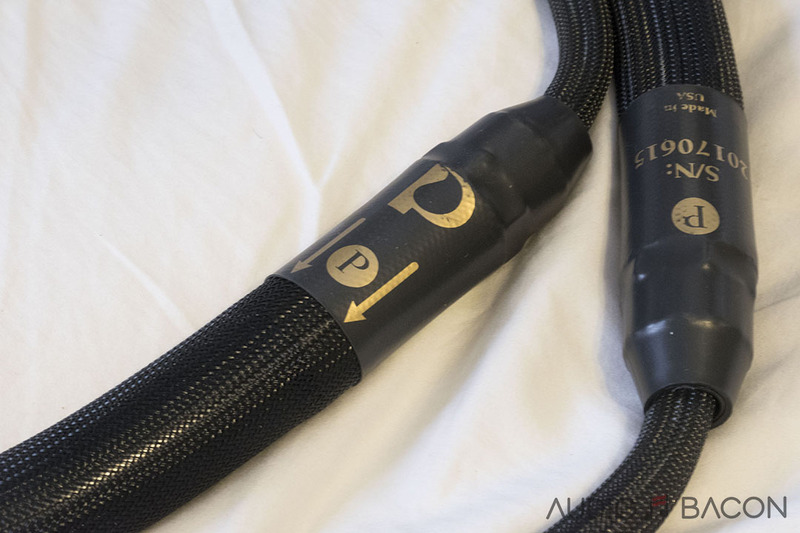 The Powerflux 18 is a meaty, punchy, and warm sounding cable. In comparison to the Dominus, the Powerflux sounds a bit veiled and heavy. It is not nearly as articulate or airy as the PAD Dominus. The Powerflux sounds a bit congested in comparison (and in general). Tone and timbre are accurate on both cables but the Dominus sounds more liquid. There’s a bit of coloration and smearing with the Powerflux 18. The Dominus is much better focused, textural accurate, and provides better layering over the music. The Powerflux 18 is punchier but the bass isn’t as well defined as the Dominus. Dominus has better midrange definition and clarity. IMO, the Dominus is the superior cable (by a large margin) in this comparison. How emotive a cable sounds to someone cannot be measured. Your emotions are influenced by your genetic makeup and life experiences. 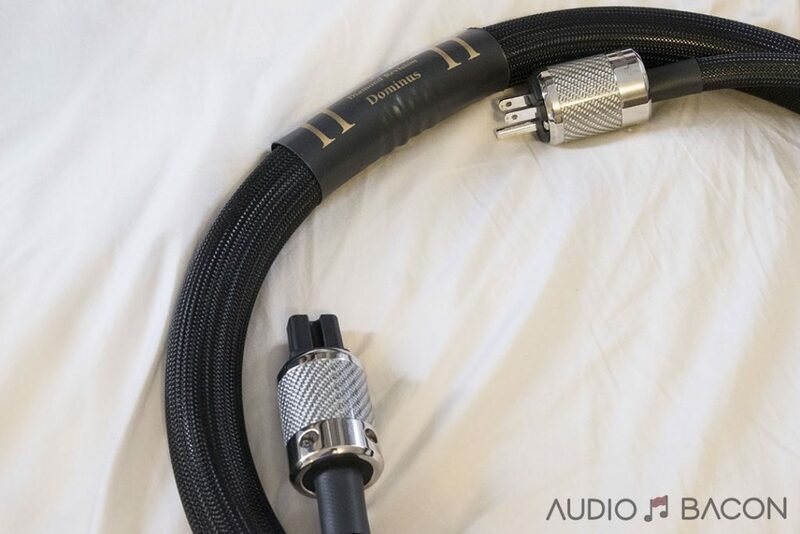 With the Purist Audio Design Diamond Edition AC power cord, you’re guaranteed to be enveloped and drawn into a genuinely musical and faithful reproduction of your recordings. It doesn’t try to color music or alter timbre in ways to impress but provides your listening experience with just the right amount of nuance, from the articulation of female vocals to the plucks of guitar strings. Imaging of the soundstage is precise and coherent without any hints of digital edge or graininess. Every time I listen to this cable “analog” and “humanistic” comes to mind. Its ability to effortlessly resolve the tonal makeup and dynamic relationships of instruments and voices provides a free-flowing, startlingly real, and natural sound. It provides a balance between musical information, smoothness, and euphony that I don’t hear from any other cable. It’s a fantastic design that I believe will resonate with many audiophiles. There are plenty of challenges in cable design but I think Purist Audio Design has nailed the very key elements on what constitutes a great sounding cable. With intimate knowledge of the interactions between the various materials, their design goals could be brought to fruition with flying colors. 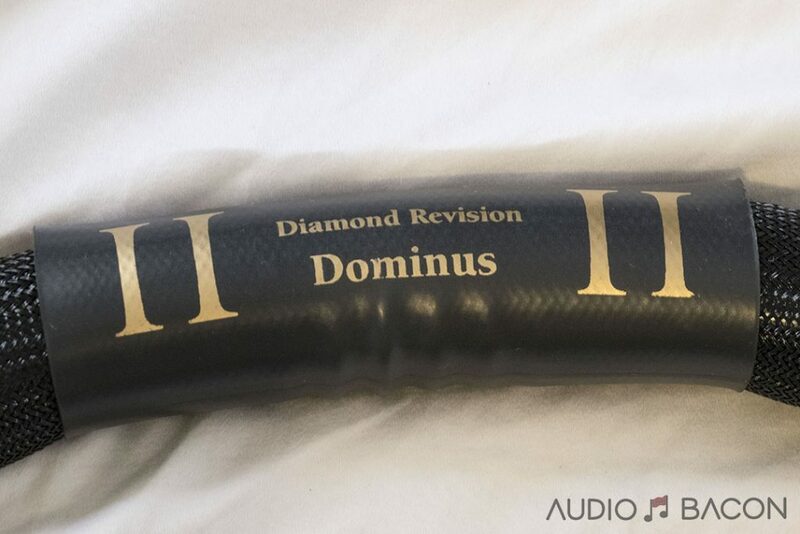 Jim Aud has one of my reference ears in the industry and if you’re a fan of his other products, the Diamond Edition Dominus AC power cord will soothe you into musical submission. I’ve heard all four cable brands, and can relate to what you heard. I find the Synergistic Atmosphere an excellent choice for music servers and computers used as a music source. I use the Level 2. I have an earlier Purist Dominus and a Limited Edition. Both are great on the right component, the LE better when used from wall to power distributor. Your review makes me want to get the newer Dominus for my amplifiers or DAC. All these cords need to be tried on each component. What sounds very good on one component may not be the ticket for another component. I have the High Fidelity CT-1 basic power cord, and their MC 0.5 plug in modules (two). The modules work very good for tuning a system for a slightly more vivid sound, with any type of cable(s). The CT-1 basic cord is a tease for wanting the CT-1 Ultimate. The basic enhances the performance of smaller power supplies used for converters, re-clockers and the like. All good stuff! I had the good fortune of getting to try out one of these new Diamond Revision cords that had been broken in. After 3 days of settling (necessary for sure) I realized it was like a component change. The layering, extension, 3d imaging and world class resolution were all outstanding. Notably micro dynamics just popped out. This was all maintained while having such a decisive way of making emotion in the music. 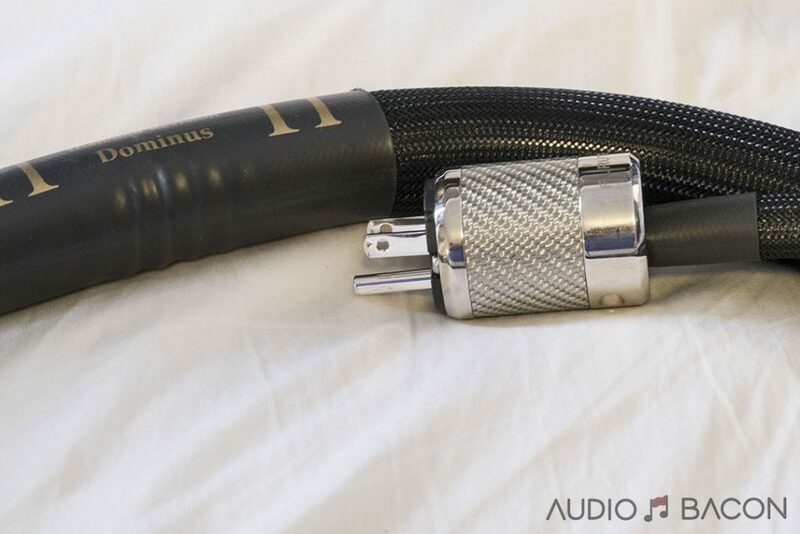 This cord should be on any serious audiophile’s list to audition. It is scarey good for the asking price and it appears Jim Aud rolled up a lot of his 30 years of expertise into this cable. 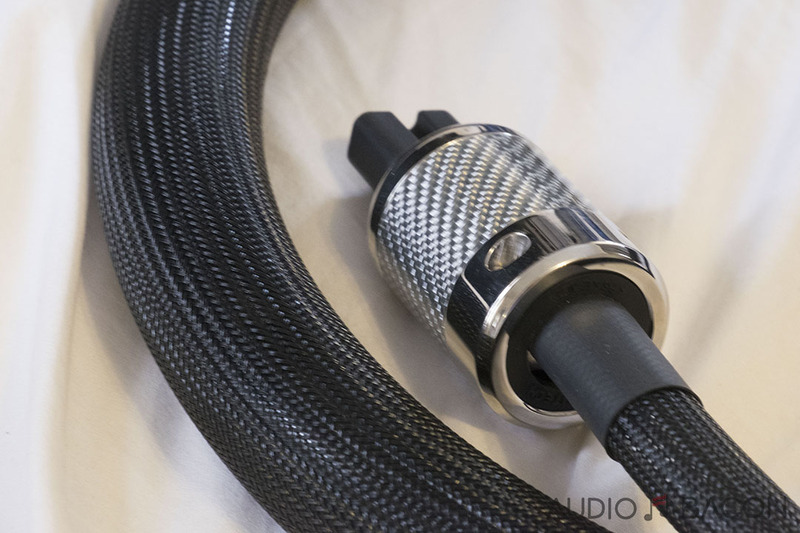 I have owned Stage 3, JPS Labs, and Elrod Statement cords to name a few so I have some decent comparison to go by. This review is just so accurate of what I heard and wanted to congratulate the reviewer for being so concise and accurate. I put my money together and have purchased these great cords. They are destined to be on the list of great music making cords. Highly Recommended. Really happy to hear they worked out well for you Gary! We really have to treat these cables as components.